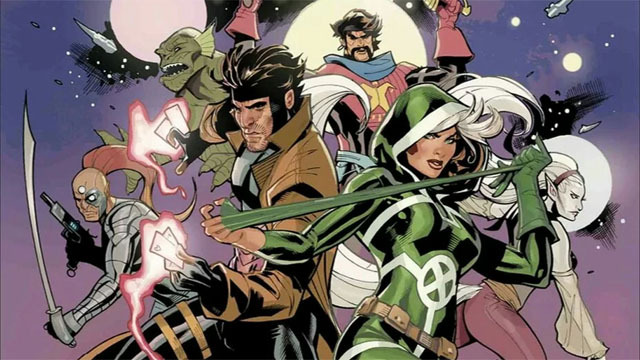 After a long courtship, the X-Men’s Rogue and Gambit finally tied the knot in an impromptu ceremony. To kick off their new lives together, they took a honeymoon in outer space so they could leave all of their problems behind. But that never works out for any heroes! 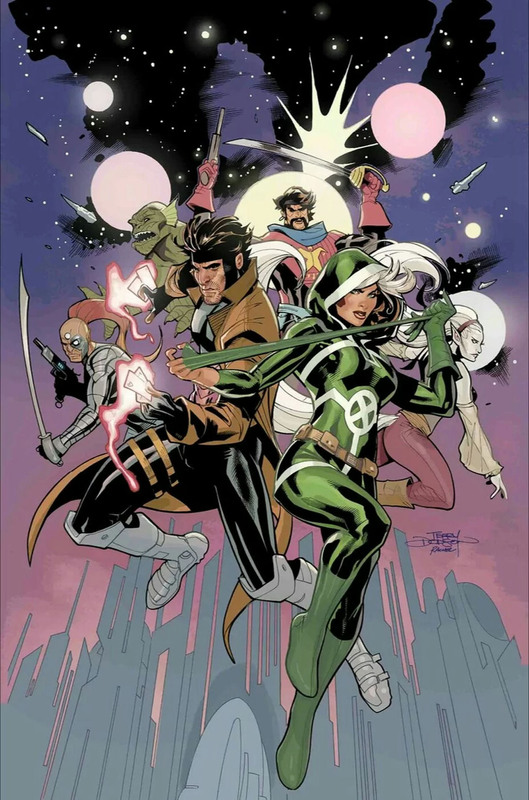 Rogue and Gambit quickly found themselves wrapped up in intergalactic intrigue with the fate of the Shi’ar Empire at stake. They learned that Charles Xavier and Majestrix Lilandra Neramani had a child named Xandra. And whoever controls Xandra will gain the empire her parents left behind. The newlyweds fended off Deadpool, Deathbird, and the Technet, but Xandra was kidnapped by the Shi’ar Imperial Guard. Rogue and Gambit went undercover to rescue Xandra, and reunited with the Starjamers. But that’s where things started to go wrong. In the closing pages of Mr. and Mrs. X #4, both Rogue and Xandra were seemingly destroyed. That left Gambit behind to mourn his loss. Kelly Thompson and artist Oscar Bazaldua will conclude their tale next week in Mr. and Mrs. X #5. In Superhero Hype’s exclusive preview, the assembled factions have no reason to doubt that Rogue and Xandra are really dead. But there must be some kind of trick in play, because there’s no way the bride is dying this early in the book! You can read the full exclusive preview in our gallery below. Mr. and Mrs. X #5 will be released on Wednesday, November 21. What did you think about the preview? Let us know in the comment section below!